With the urge to create wedding inspiration unlike anything she had seen before, photographer Joan Allen joined forces with wedding planner Merryl Brown, florist Camilla Svensson Burns and a dream team of other talented wedding professionals to create a beautiful yet dark and mysterious series of images, and ooohh what fun for us that they did! Sprinkling lines from the French poem “Parfum Exotique” by Charles Baudelaire throughout the images (in gorgeous calligraphy by Laura Hooper) these images evoke a wonderfully romantic and gothic atmosphere, and could bring lush wedding fashion, floral, tabletop and decor ideas and inspiration to any bride planning a wedding on the sultry side of things. Enjoy! *a Special Thank You To Rebecca Raskind, Caity Dariotis, Michelle And Kate. Thank you so much fo sharing this shoot with us Joanie and Team! Readers, be sure to check out our Wedding Photo Gallery for more wedding fashion and wedding decor inspiration! This was such a fun shoot with incredible models, props and moments of inspiration! We had an A+ team too, which made it even more wonderful. Thank you Junebug Weddings for sharing this story! OMG… can i get remarried?? to the same man of course.. if only i had this photographer, makeup, wardrobe, hair stylist… this is beyond, i wish i could do it all over again.. its gorgeous, moody, parisian.. the photos just speak to my soul.. LOVE! I’m a big fan of Joan Allen’s and this is fantastic! I’m absolutely in awe of this. I feel like this is unlike anything I’ve ever seen – the narrative is beyond divine and the photographs are hauntingly beautiful. It takes my breath away. 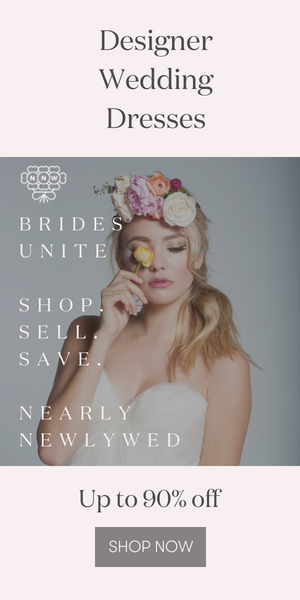 Thank you, Junebug, for featuring our wedding-inspired fashion story! Merryl and I had a lot of fun brainstorming about different ideas and pulling our ROCKSTAR team together! It was really fun to see how everything evolved and fell perfectly into place. Everyone was absolutely wonderful and professional. I’m already excited for our next shoot! This is absolutely breathtaking, ethereal and simply a stunning masterpiece. Love it!!! We enjoyed having everyone in our store for this photo shoot! Beautiful images! Thank you Junebug Weddings for sharing this! Thanks for sharing these great images! I love the soft lights, the fog and the tones which evoques perfectly the mystery of the scene. Joan Allen has an incredible talent and it shows in her photos; she has made the best photoshoots of actress Summer Glau. Its like a wedding from a member from the cast of Twilight, just stunning images. French poem “Parfum exotique” from Baudelaire is a great text choice to highlight the photos! This poem belongs to Baudelaire’s masterpiece, “Les Fleurs du Mal” (“The Flowers of Evil”). It was inspired by Baudelaire’s relationship with her muse Jeanne Duval. Being French myself, i feel proud to be kind of linked to Joan Allen’s wonderful worl . I have always believed that wedding albums should be something unique and separate from the actual day.. something that speaks for the bride and groom.. Since so much of the big day is usually about the guests (just being honest), it is nice to see someone (in this case, a very talented photographer) step up and give future "life lovers" something to really play with for their heart shaped box of memories. To me, the wedding album is as much about the couple and their spirit, as it is about the day, and so why not step it up a notch or three… It seems a new standard is being etched, and Miss Allen is leading the way. Stunning photography. Joan Allen is a true artist . My brother was fortunate enough to have her as his wedding photographer and the pictures are exquisite. Stunning and such an incredible shoot to work on! Well done team! What amazing photos and such a unique setting! I only wish I would have hired this photographer for my own wedding. Just stunning! I’ve never seen anything like this before. This is what a wedding should look like!!!! WOW! This is just absolutely amazing!!! Wow, I am loving this shoot! It’s captivating! Quite possibly some of the most beautiful and original photography I’ve seen in recent history. Absolutely overwhelmed. Thanks a lot for sharing such a wonderful wedding inspiration. I find it Twilight like of a motif. Very gothic and fashionable and I appreciate it so much! Thanks a lot and I hope to see more of your creations soon. Thanks. Lovely Photos, inspiring and incredibly evocative. Bring on the Gothic. LOVE LOVE LOVE, or should I say AMOUR AMOUR AMOUR! Great job, Merryl. Wow, love the colored dresses and all the styling! Another truly phenomenal job by Joan Allen. These photos are breathtaking. I love the feel and moodiness of it. Cheers to all involved! Well the team wanted to create something different and I think judging by the comments on here they certainly succeeded – artistic, brave and memorable shots – well done! If only all weddings could be so creative. Unfortunately, the photographer never has the ability to be the creative force behind a real wedding – that’s usually done before they even hire the photographer. Love this photo shoot and that white dress with the throw is gorgeous. Great Job! Joan and her team know how to produce a shoot! Always a pleasure working with Joan as I know she will get the best talent to ensure a great day and amazing results! These pictures are amazing! Great vision…..
What a concept! The bridal photoshoot with all the dark mood is something I did not imagined before. I mean how can be marriage and being goth go together? This is a good spin-off of goth and I love it! I was planning to get a “Korean style” wedding but uh-never mind I think this idea is perfect! Hey that makeup artist did a hell of a job! Need more true artists like her and less youtube self-made pros IMHO. There are some great and beautiful gothic wedding dresses out there. I found a really cool wedding dress that I ordered for my gothic wedding from a company called Matrimony Prep. They have all different types of wedding dresses in different styles.